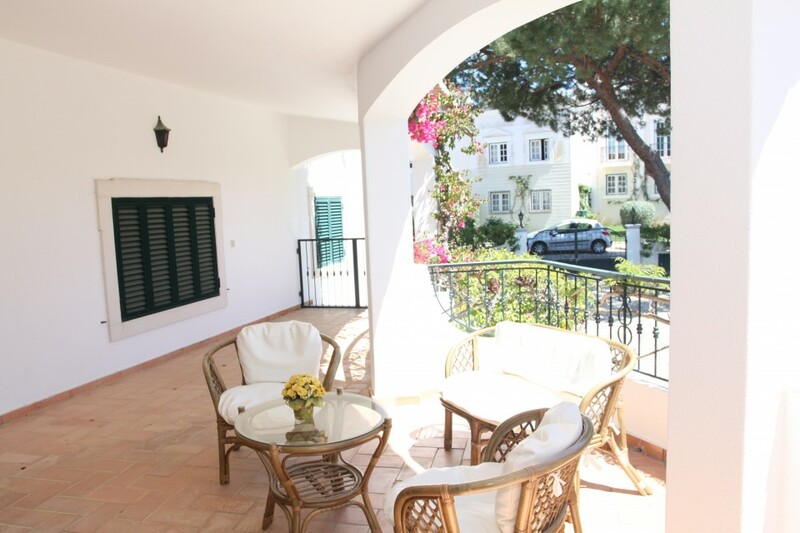 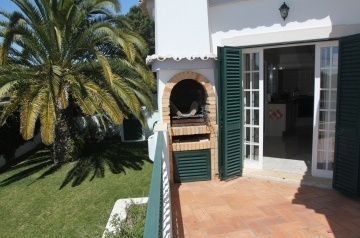 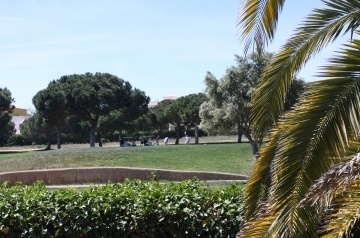 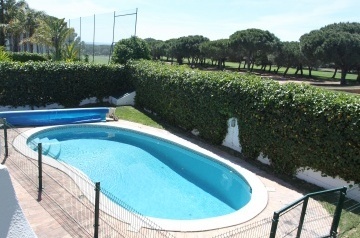 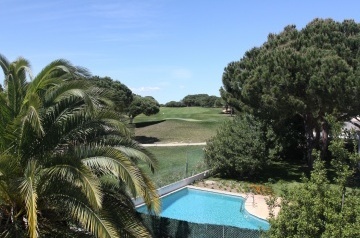 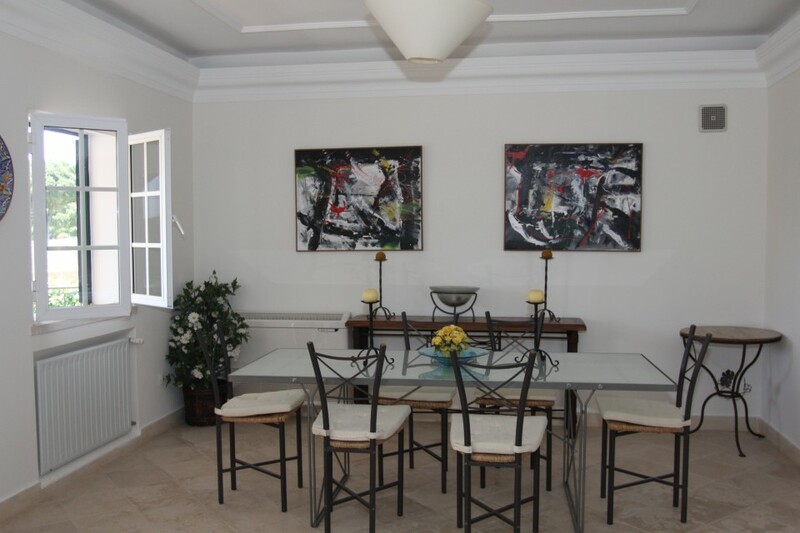 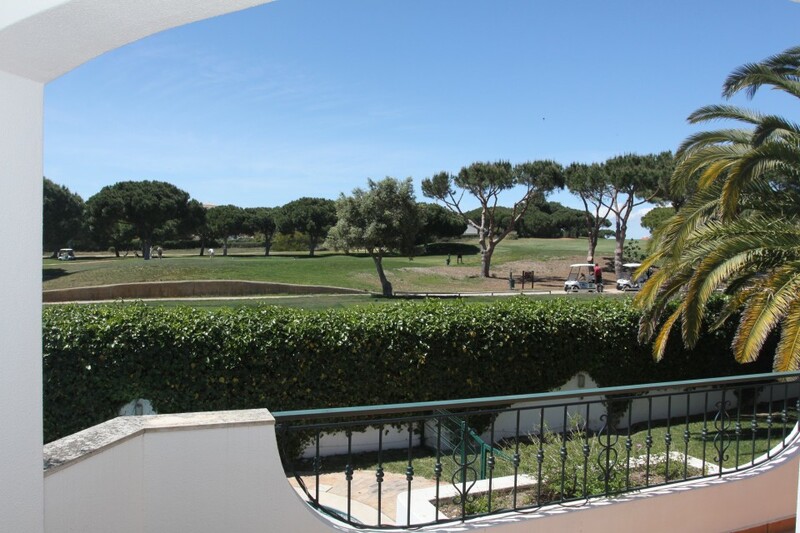 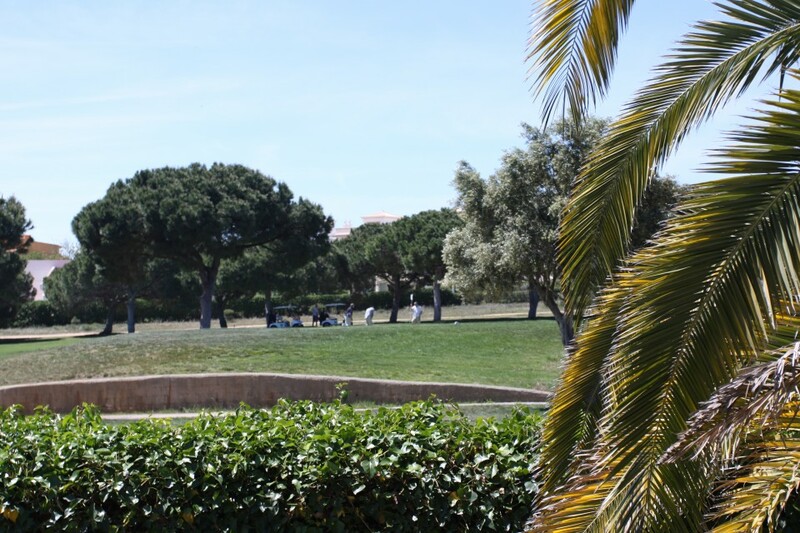 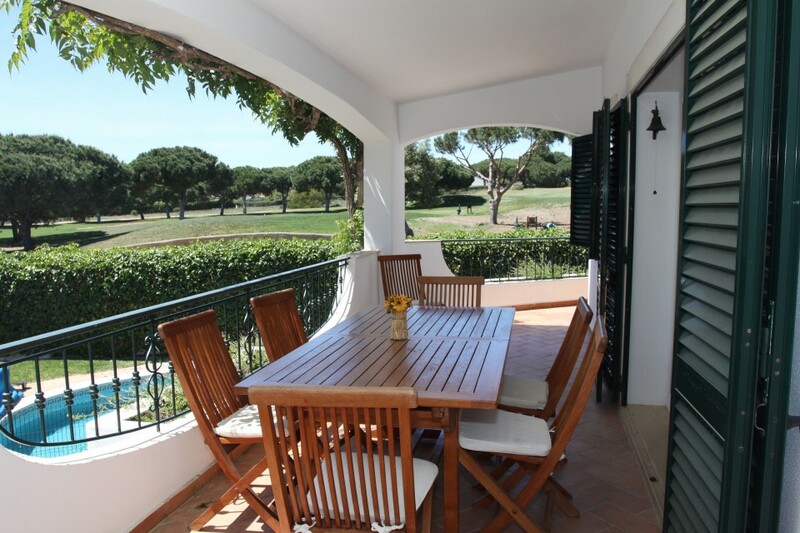 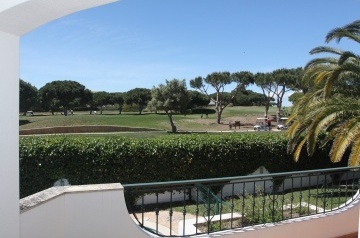 This villa is directly opposite the Old Village complex and backs onto the Pinhal Golf Course in Vilamoura . 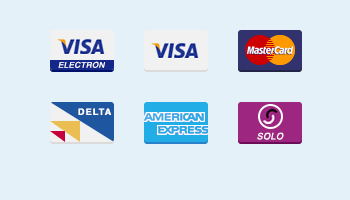 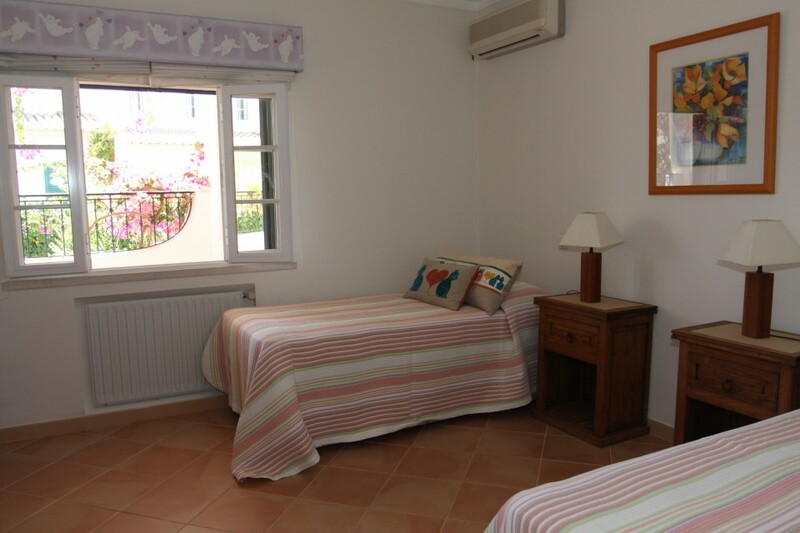 The facilities of the Old Village are at your disposal, including a supermarket, bars, ATM, touristic trains &amp; shuttle services (paid for). 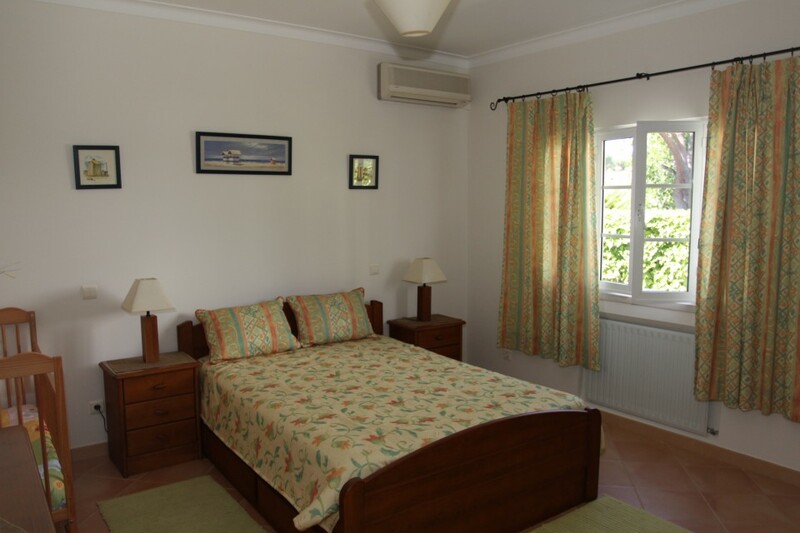 This property is privately owned and individually furnished and can accommodate up to 8 adults and 2 small children. 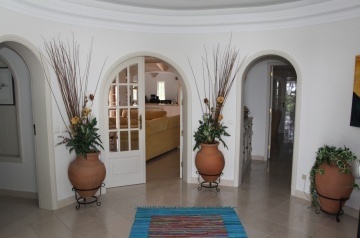 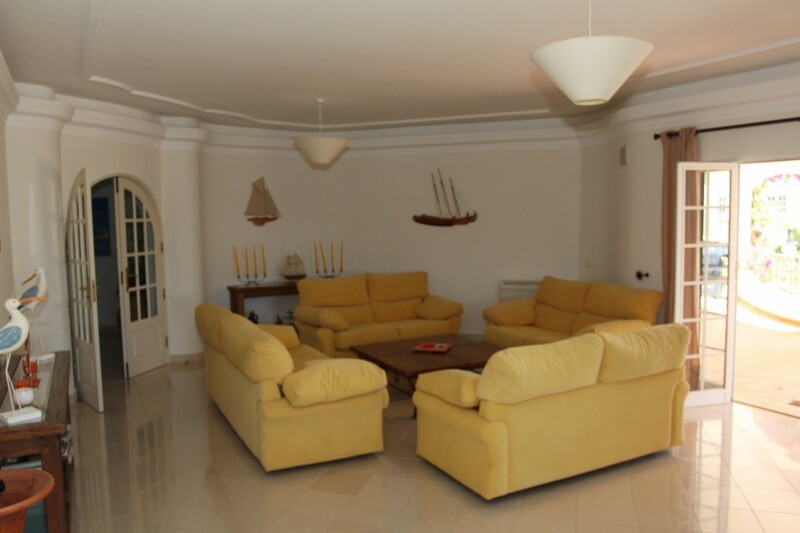 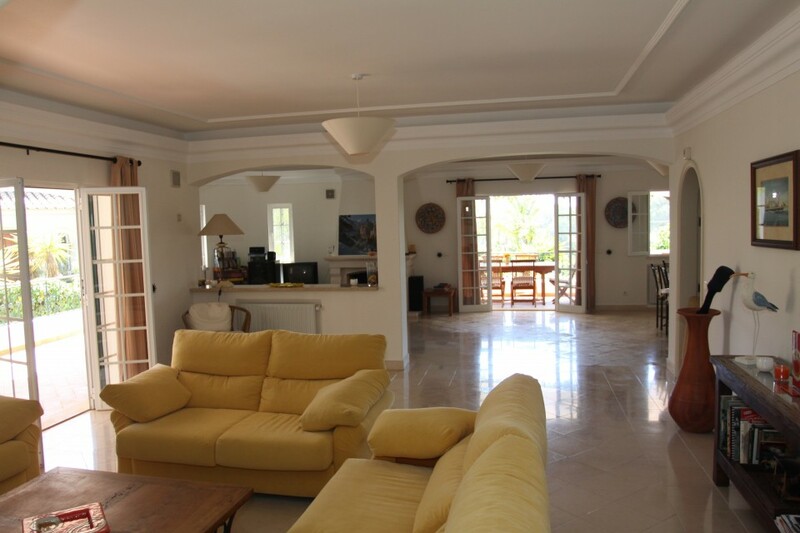 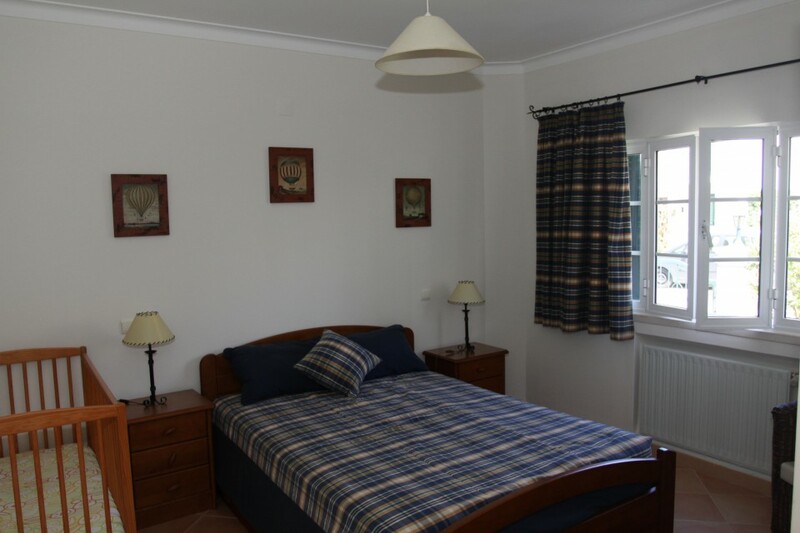 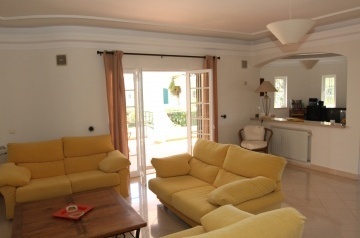 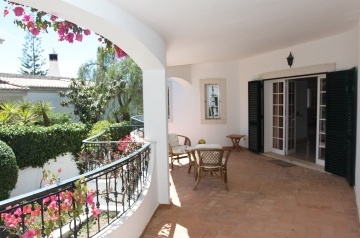 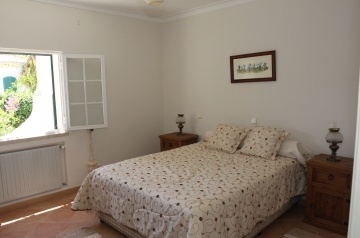 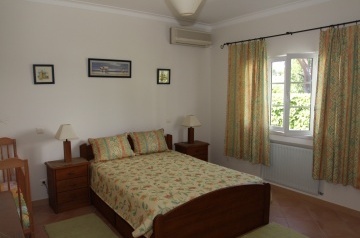 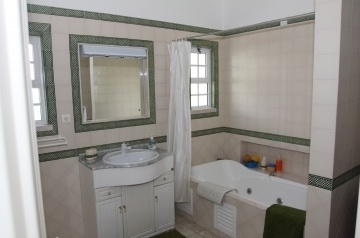 This is a large ground floor villa with comfortable accommodation for up to 8 adults. 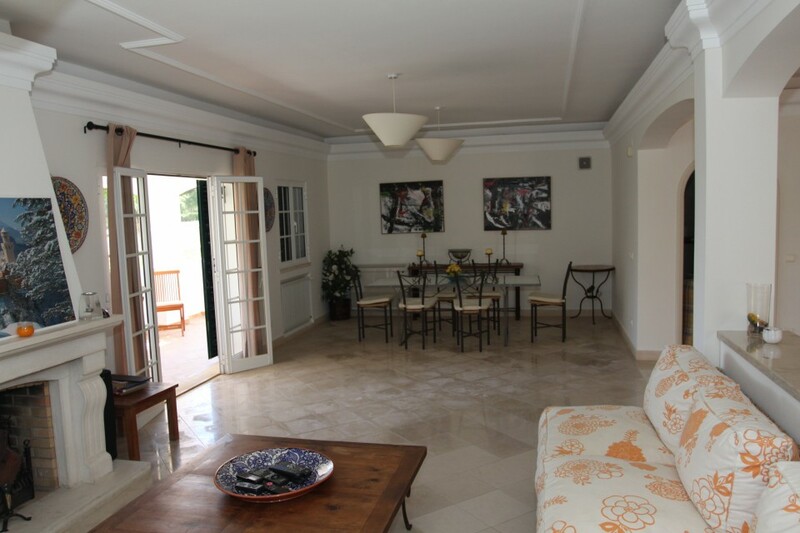 Walking in through the front door you are presented with the sleeping area off to the left, a large spacious living room which is split into 3 areas of a seating area, a dining area and a TV area. 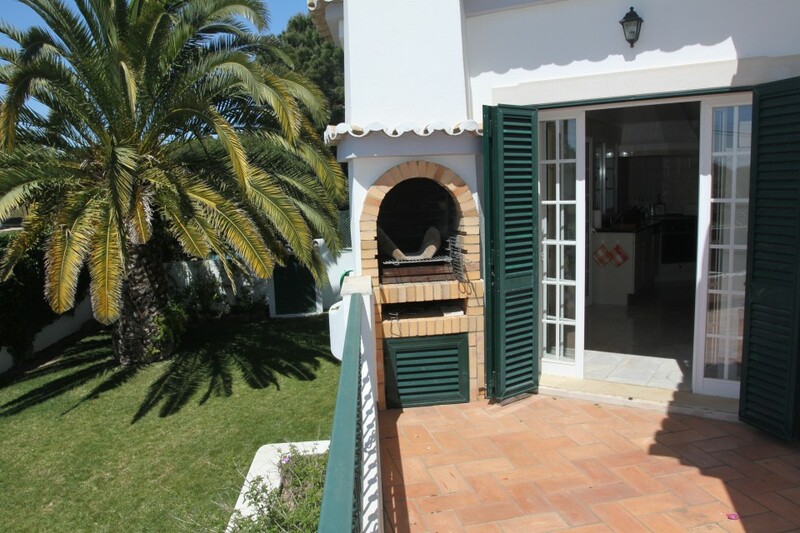 Off to the right it leads into a large fully fitted family kitchen with a terrace that has a built in BBQ. 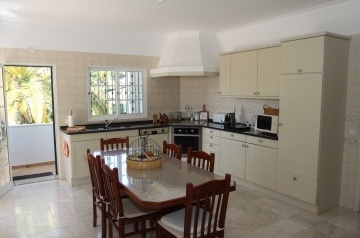 In the kitchen there all the usual amenities (Oven, hob, kettle, toaster, dish washer, washing machine, cutlery &amp; crockery). 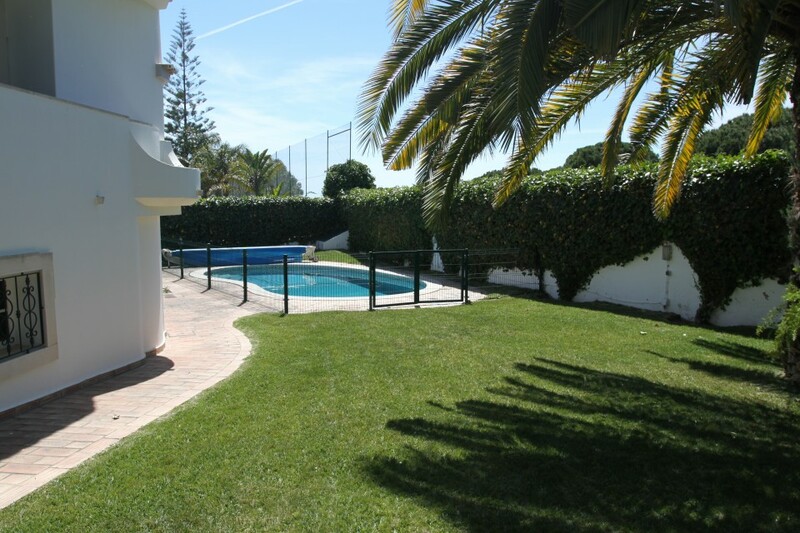 The property benefits from its own private swimming pool and grassed areas for sunbathing with many shaded areas for seating dotted around the property. 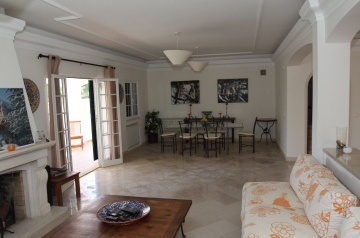 Off the living room there are two sets of French doors that open onto the covered terrace. 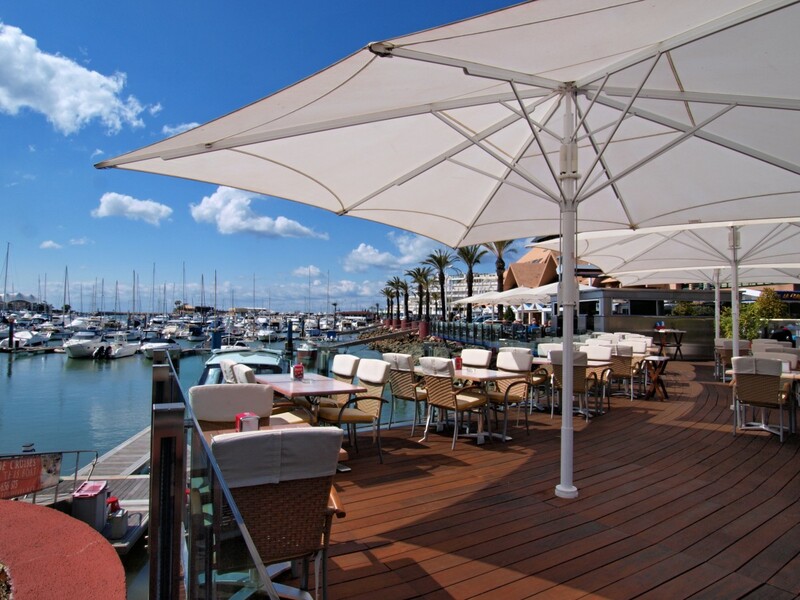 Outside on the terrace there are tables and chairs for outside dining and relaxation. There are 4 big bedrooms, 3 of which contain double beds, the 4th contains 2 singles. 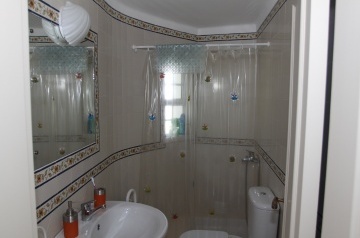 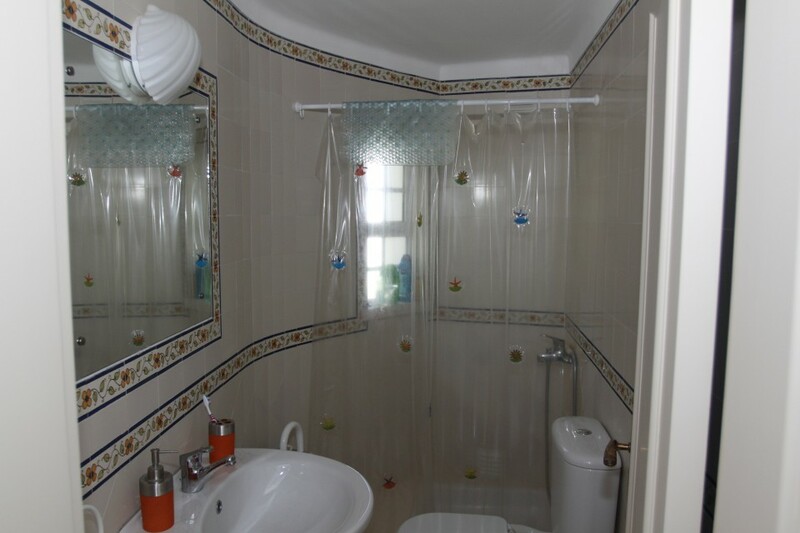 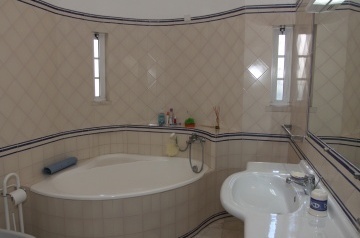 There are 4 bathrooms that have the usual ammenities, 3 are shared and the 4th is en-suite.